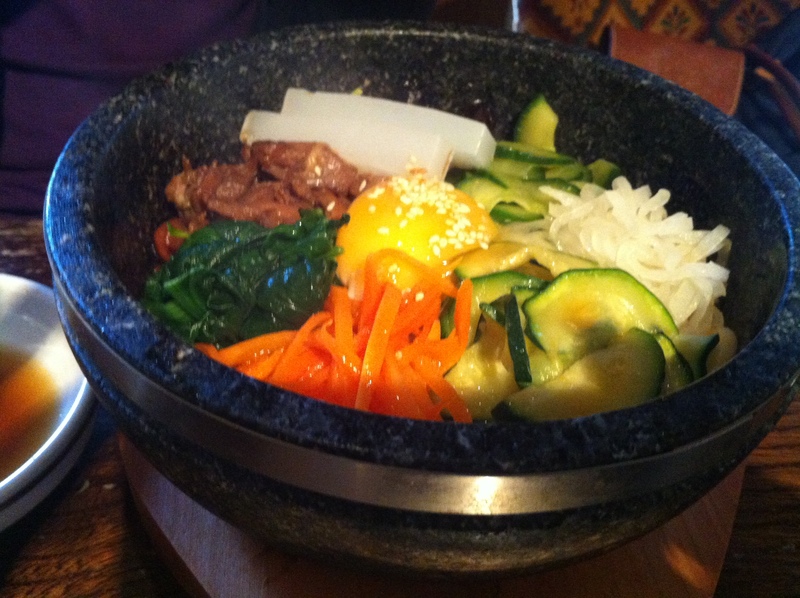 I often travel to New Malden just to eat some seriously good Korean food. 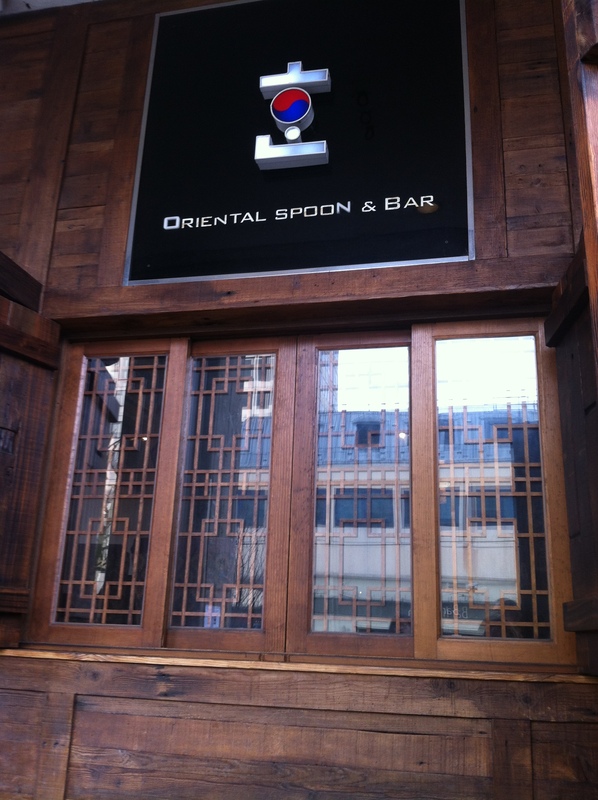 Han karaoke is conveniently located minutes away from the rail station. 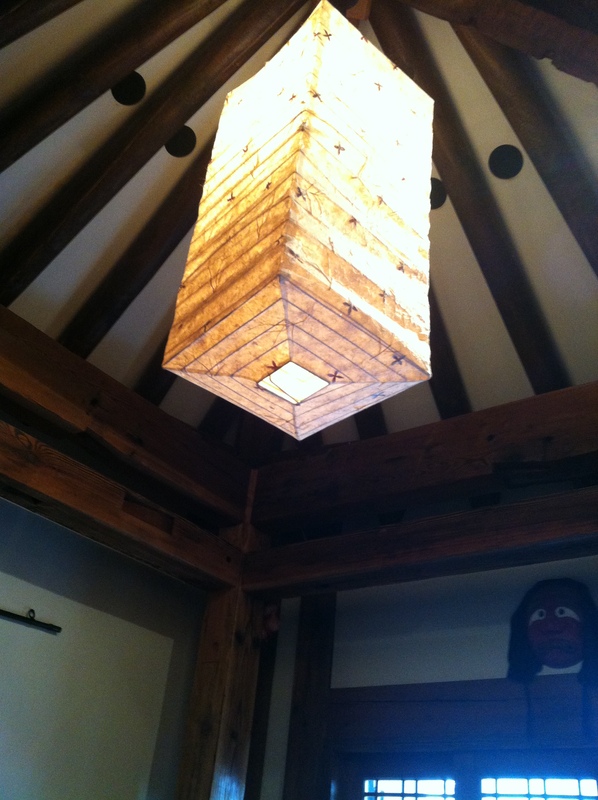 The exterior bears a traditional ancient wooden style. Inside it’s built like a labyrinth with areas to uncover, the basement has state of the art karaoke rooms. 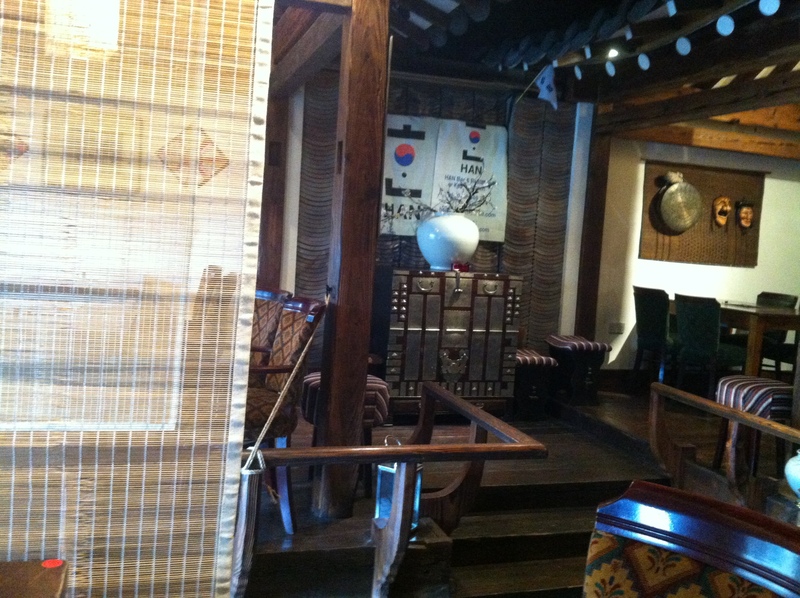 The man outside lured us in, claiming to be the best Korean restaurant in Surrey. 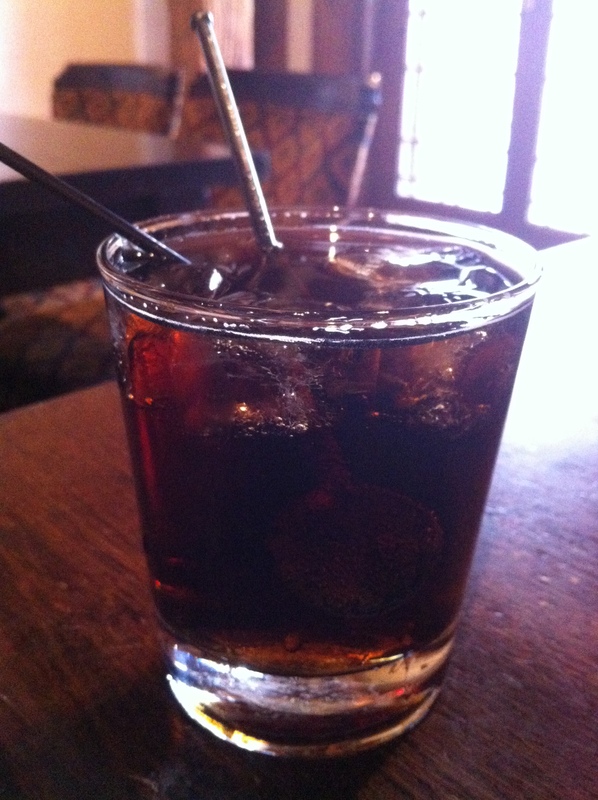 It was around midday, and the server already recommended the alcoholic cocktails. I caved in a brought one, and chatted about soju. I hesitated to try soju at first seeing many dreadful episodes of people and their slurred speech aftermath. I bravely said no. Each table had an in built hot stove BBQ set. My friend and I went for cooked mains and starters to share. 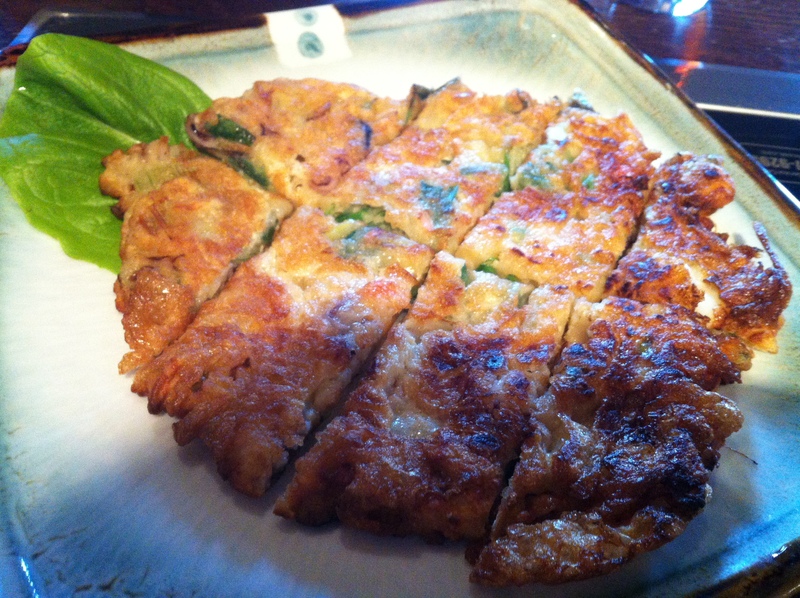 The kimchi pancake was a true beauty. Nice and crispy on the exterior with enough flavours. Fresh ingredients balanced the seafood & flour. I can officially say it is the best pancake I’ve tried so far. 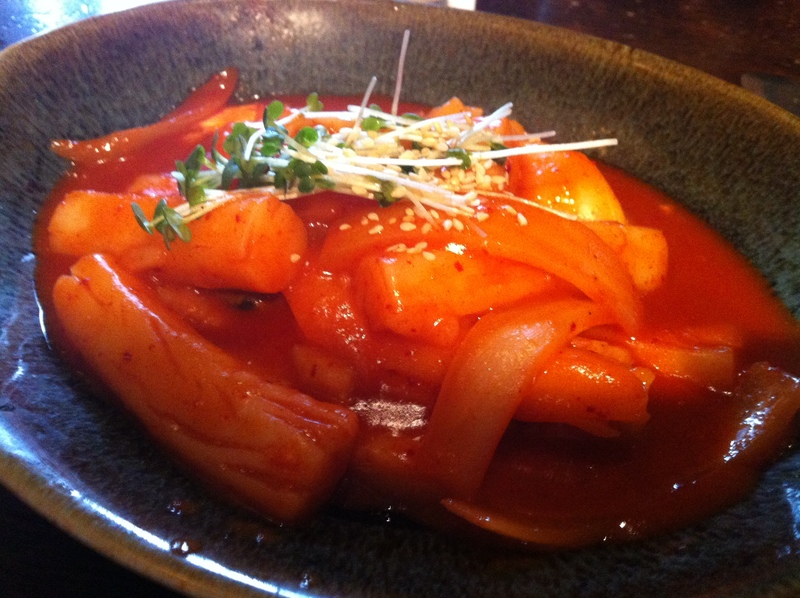 Spicy rice cakes came just right in temperature. The heat was medium, just perfect for me. 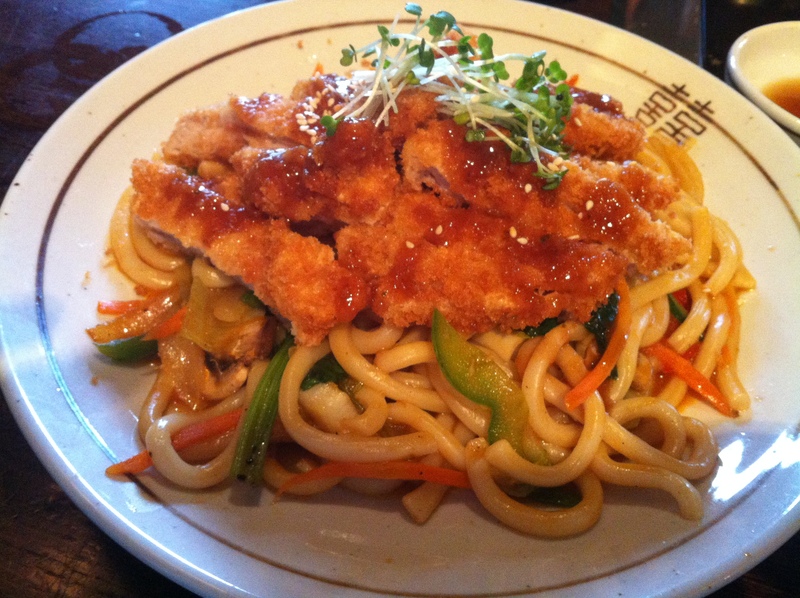 My katsu udon, seemed like a Japanese influenced dish and it delivered. There were succulent pieces of golden brown chicken with a light seasoning on the udon. 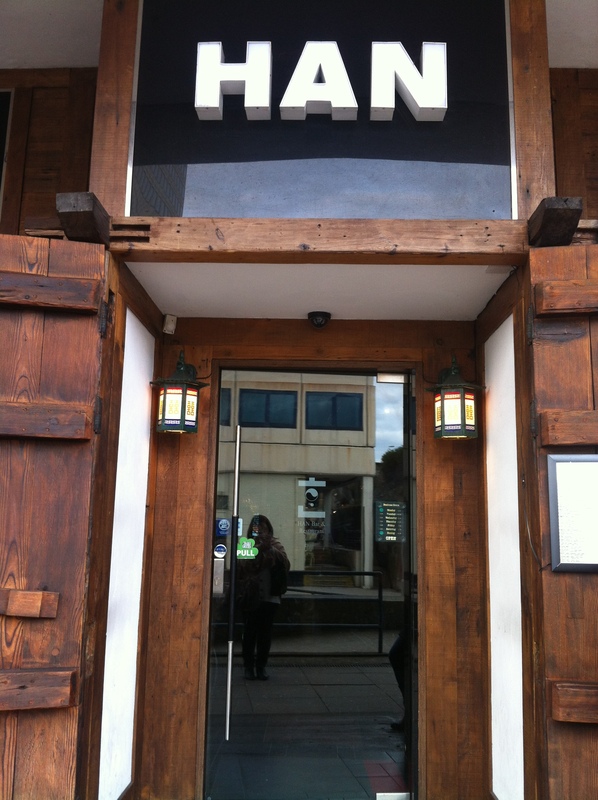 I highly recommend Han, and have since been back to try the Korean BBQ which I will write up at a later date.